Major carrier Verizon is trying to make more money by selling some of the accessories that may not benefit from the same exposure that its smartphones are usually getting. 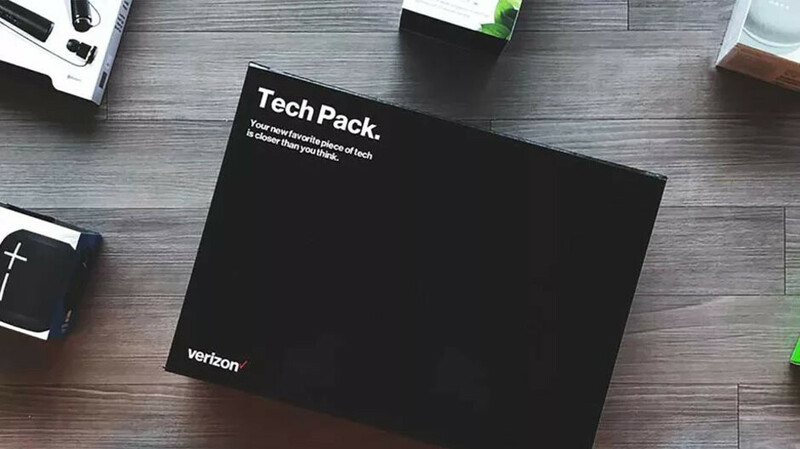 If you're a gadget fan and you're buying tech stuff, other than phones, quite often, Verizon's new Tech Pack service may be the best thing that could happen to you. Tech Pack is Verizon's new subscription service that offers gadget fans to buy items of various discounts. Since this is a mystery box system, you won't know what you get before opening the package sent by Verizon, but you have 14 days to decide whether or not to keep them. The carrier will include two or three gadgets in the boxes that are sent to Tech Pack subscribers who can choose to keep all or just some of the items inside. The box comes with a prepaid shipping label for returns, but if you don't return a product within 14 days, you'll be charged for it. If you decide to keep some of the products after you're testing them, you'll get nice discounts to make the deal more appealing. An image from the service's official website shows some of the items that you can get in the mystery box: Google Home Mini, Mophie Battery Pack, Canary Camera, LG Tone Pro Headset, Ryze Tello Mini Drone, and Belkin car charger. At the moment, Tech Pack seems to be sold out due to tremendous interest. Also, Verizon wouldn't say how often it will send these mystery boxes to subscribers, but there's no subscription fee to sign up. The Verge reports Verizon claims that this is just a trial that will help the carrier to decide how many items to include in the box and how often to send these to subscribers. Hopefully, we'll learn more about Verizon's Tech Pack service soon, since it looks quite interesting for the tech-savvy. My thoughts exactly. Bad for the customer because Verizon will put three gadgets in the box: two that they can't seem to sell in stores and one that is worth keeping. Then that will be bad for Verizon because eventually no one will want to keep their subscription. They are trying to emulate all the subscription box services out there. Dollar shave club and mystery tackle box are among the few I think are actually useful.